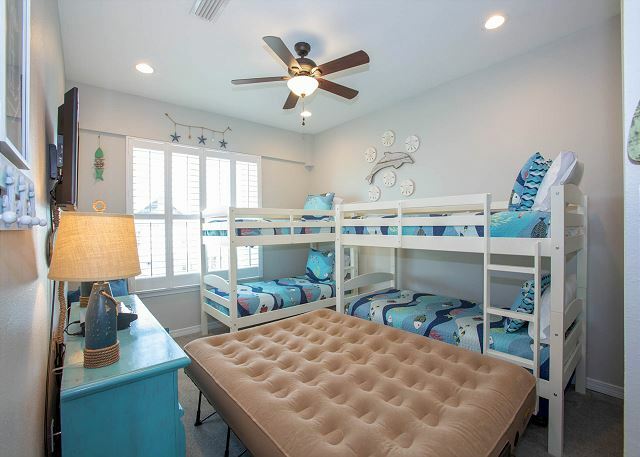 1704 Calle Bonita offers excellent views, four stylish bedrooms, tons of family fun, and the comforting feel of your home away from home. 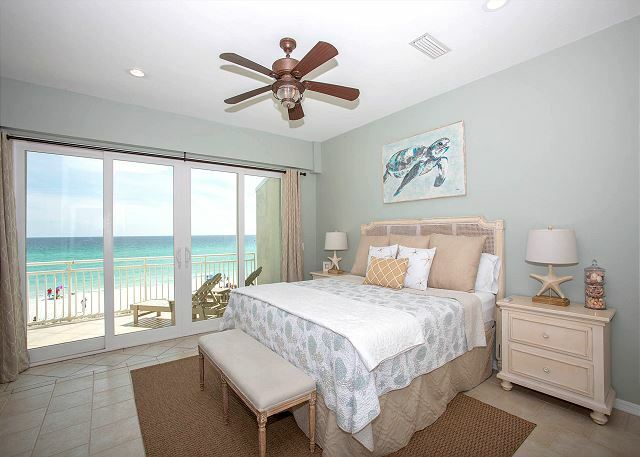 Completely renovated four-bedroom/three-bath Gulf-front townhome, offering spectacular views of white sands and the Gulf of Mexico. Step off your back deck after your morning coffee and you're on the beach! 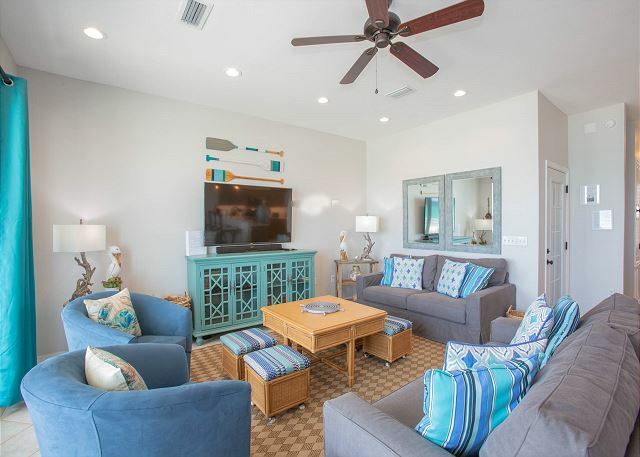 This beautifully-decorated vacation rental features an open floor plan with Florida coastal décor, tile floor, plus ceiling to floor windows. Save money by dining in with the family. 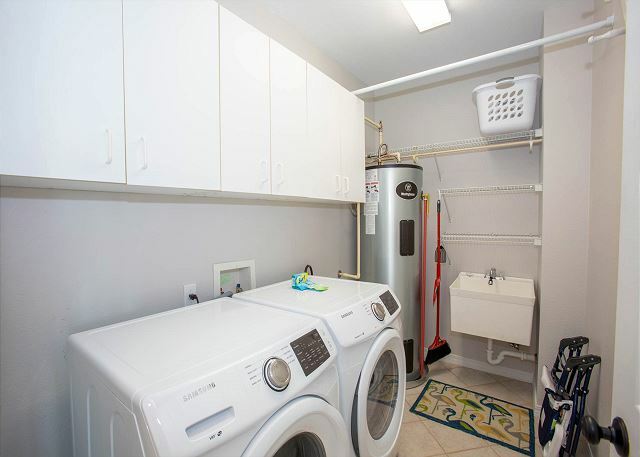 Enjoy the fully equipped kitchen that has all new stainless-steel appliances and features a four-burner stove, double oven, quartz countertops and new plumbing fixtures. The dining area seats 12 total with 4 bar stools and a table that seats 8 with a bench and 6 chairs. 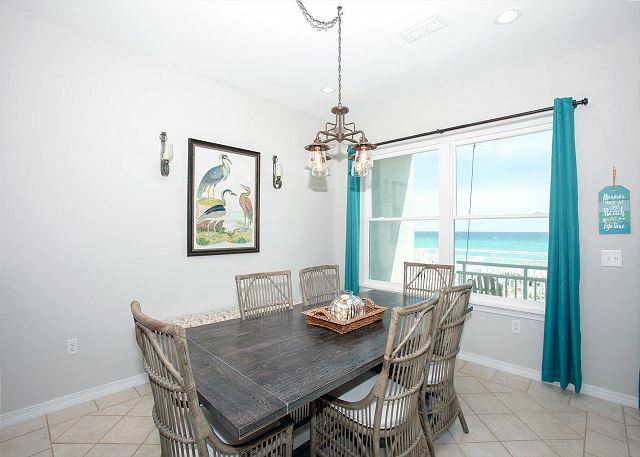 Out on the deck is a propane gas grill, outdoor seating for 8 and marvelous views of the beach and gulf. Your group will enjoy the 60" 4K flat screen Smart TV with premium Klipsch soundbar and subwoofer in the living room. The DVD player is a 4k player, so it can play standard DVDs, Blu-Ray DVDs or the new 4k DVDs. The coffee table has four roll out stools for game night or to use as foot stools for movie night. 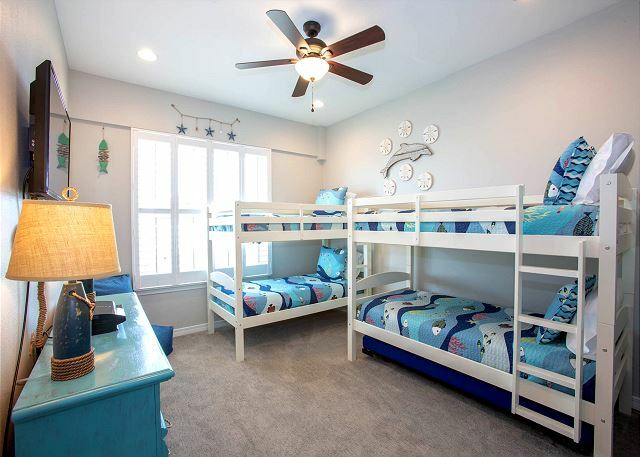 Sleeps 11 with king beds in three bedrooms and two twin bunk beds (one w/trundle) in 4th bedroom. If you want to sleep 12, instead of the trundle in the bunk room use the Insta-EZ Queen raised air mattress. The master bathroom has a private balcony with two chaise lounge chairs and a high-top table with 3 chairs. Great to enjoy a morning coffee or cold drink in the evening. 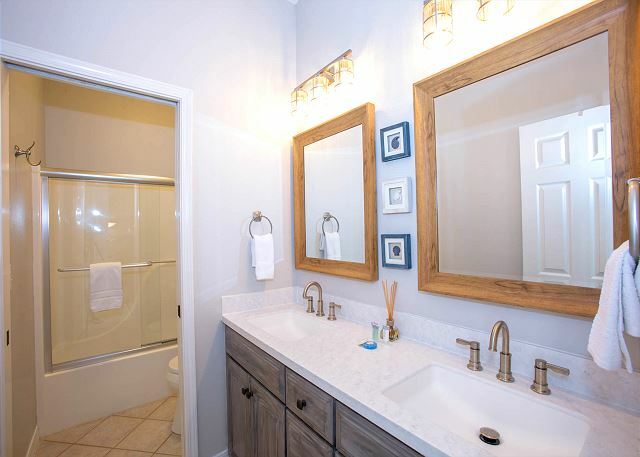 The ensuite bathroom features a tub, dual vanities and walk-in shower. For those needing to get some work done, the master also features a desk with wall-mounted monitor, keyboard and mouse with beach and ocean views. What a great remote office! The monitor is also a 43” 4k flat-screen Smart TV. Other entertainment options include flat screen TVs in three of the four bedrooms and a PlayStation with games in the bunk room. All bedrooms have new carpet. 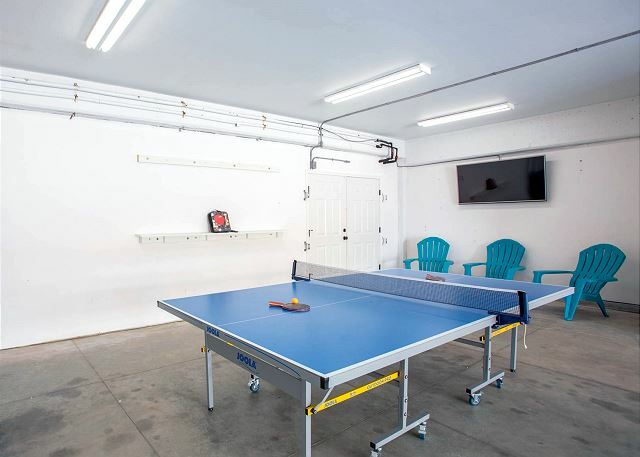 A four-car oversized garage also features a play/recreation area, with ping pong table, full-size refrigerator, Adirondack chairs for use on the new ground level wood deck, and a wall-mounted flat screen TV - great spot to watch the big game! Grill located on deck. 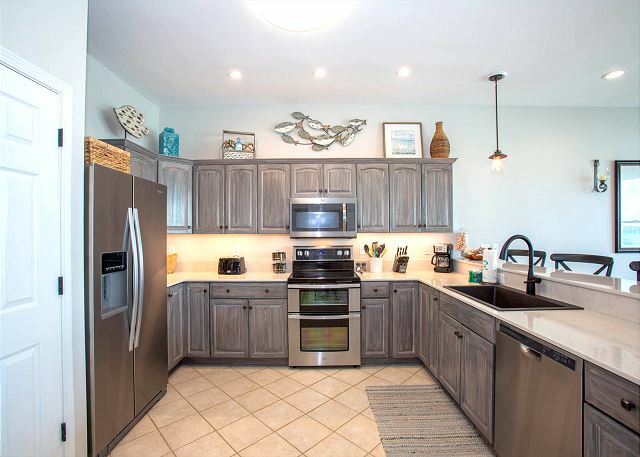 Great house, right on the beach, kitchen has a ton of supplies. Highly recommend. 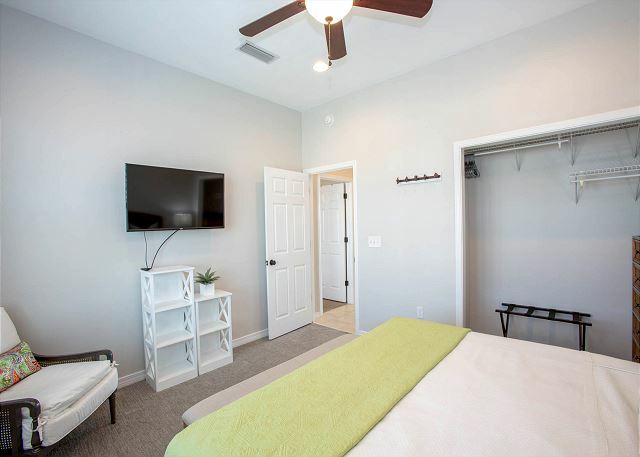 Thank you taking time to post your review about your stay at 1704 Calle Bonita! We're so happy to hear that you enjoyed staying right on the beach and enjoyed all of the kitchen supplies. 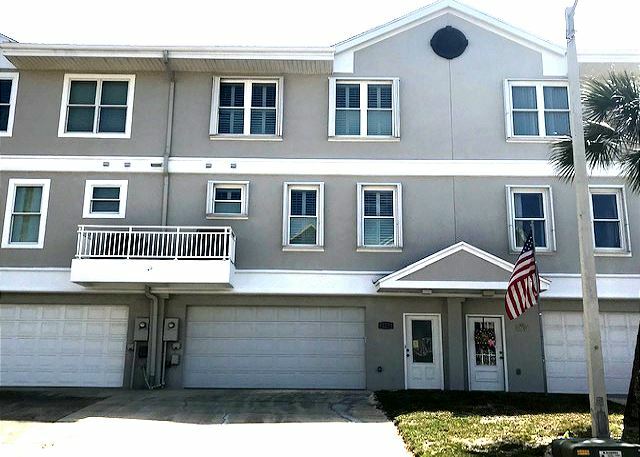 It's a beautiful town home and we are so proud to have it on our rental program. We hope to see you again very soon!